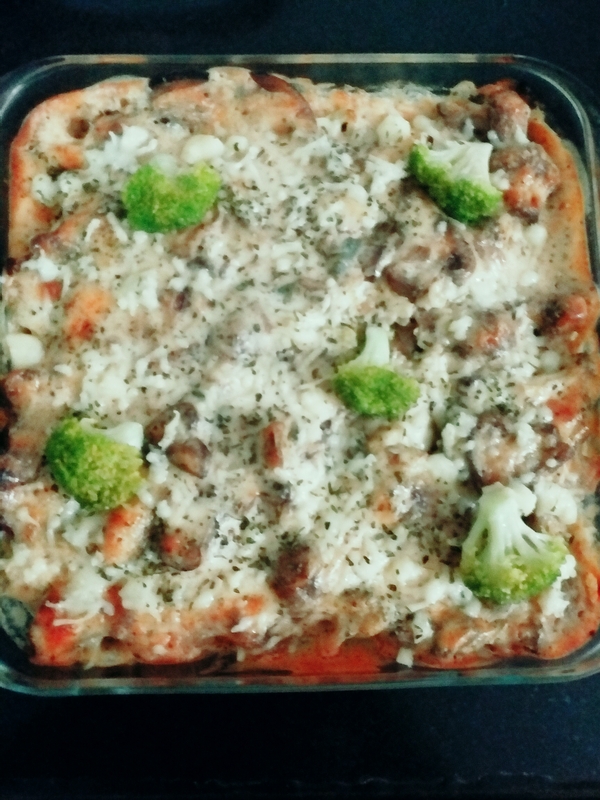 Casserole is a large , deep dish in which we can cook and serve as well. Cut the chicken into thin long strips , season both sides of the chicken with salt and pepper. Put a pan with 2 tbsp of oil in medium heat . 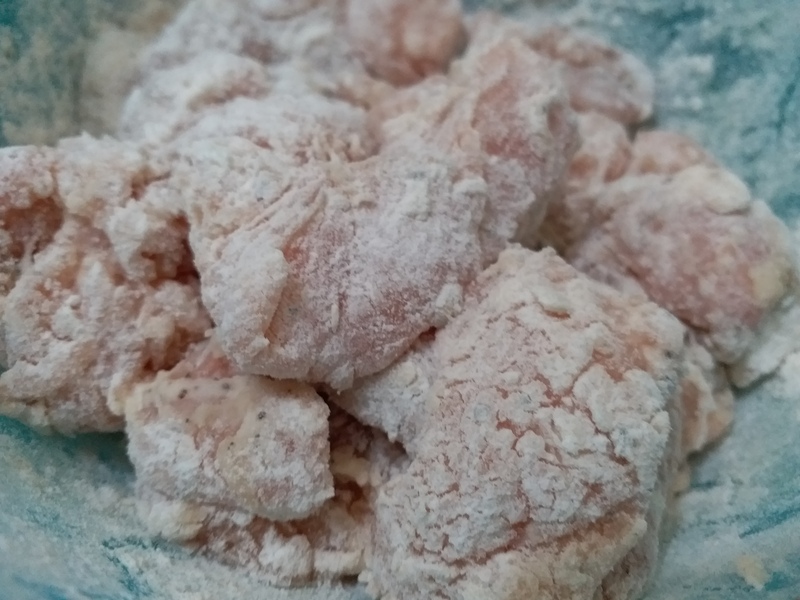 Dredge the chicken in flour till it is nicely coated. Meanwhile pre heat your oven to 200 degree centigrade. 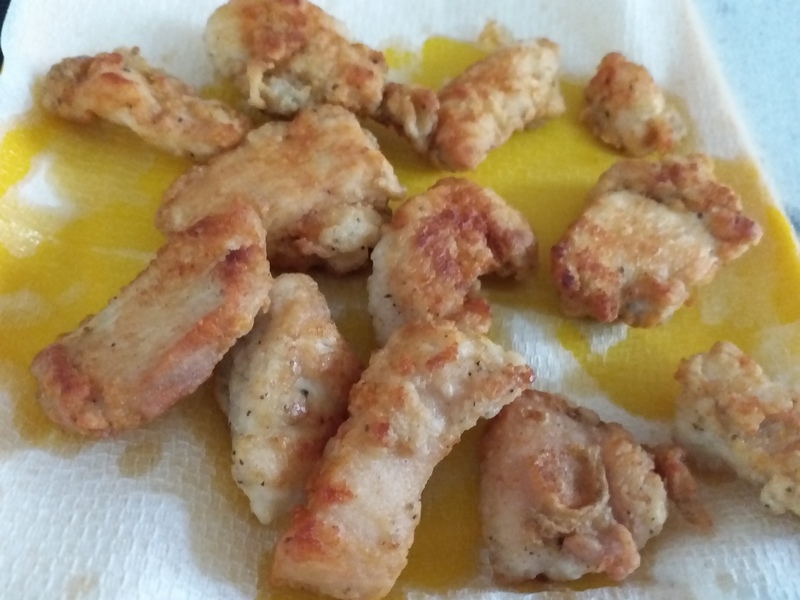 Go ahead and fry the coated chicken pieces and saute until the chicken pieces turn into nice golden brown in colour . Don’t worry about the chicken to be fully cooked , since we will be baking the chicken afterwards. Transfer the fried chicken pieces in a large casserole. Put again the pan on medium heat with a 1 tbsp of oil in it . 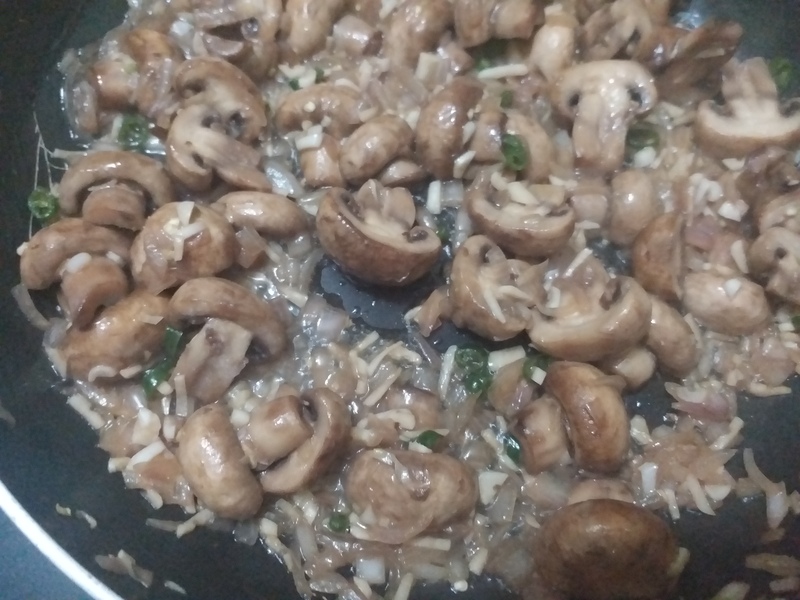 Saute the mushroom and the onions and then stir in the garlic and again saute it for 5 minutes . 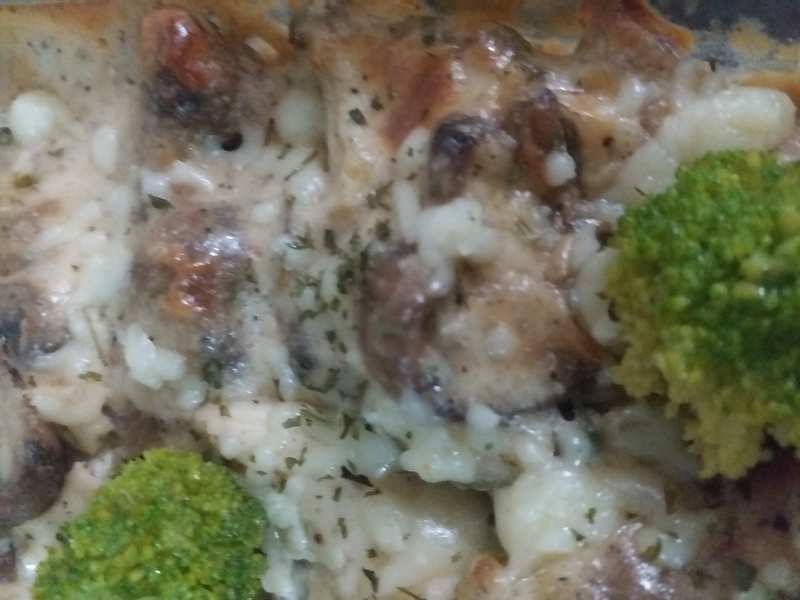 Transfer the mushroom mixture on top of the chicken pieces . Now it’s time to prepare the sauce. Put 3 tbsp of butter on to the same pan , once it has melted add in the flour and let it saute for one or two minutes and then pour in the chicken broth gradually together with the lemon juice simultaneously whisking the four mixture , be careful so that no lumps are formed . Finally mix in the milk and let it simmer on low flame . Add in some salt and pepper and cook until it has a creamy texture. 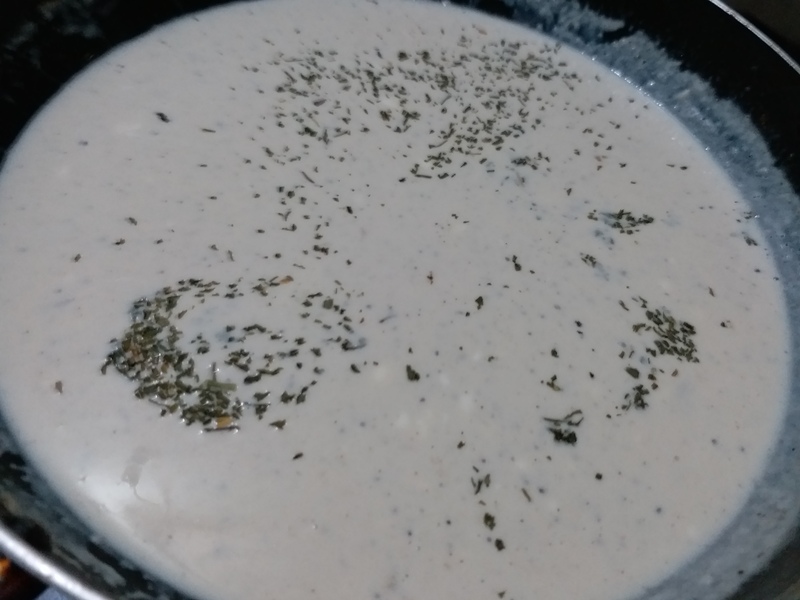 Pour this sauce over the chicken and mushroom mixture . Cover this with an aluminium foil and bake it in 180 degree centigrade for 40 to 45 minutes and then it is done. 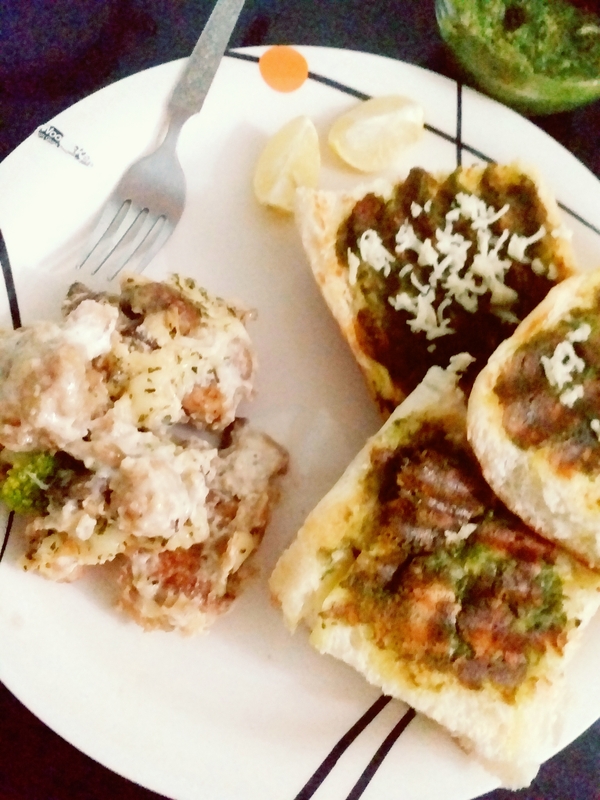 I have served with toasted bread with pesto sauce. 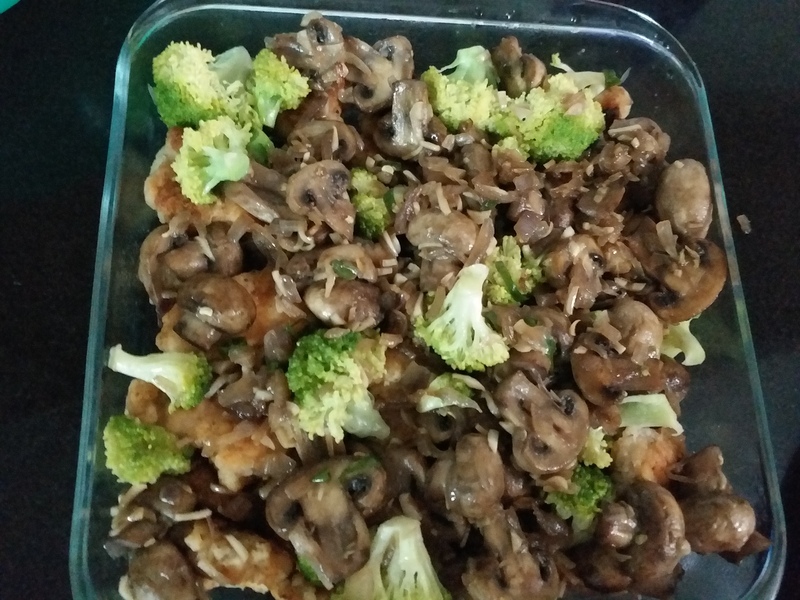 You can never go wrong with sauteed mushrooms. Scrumptious. I am already feeling hungry after my dinner. Very nice!